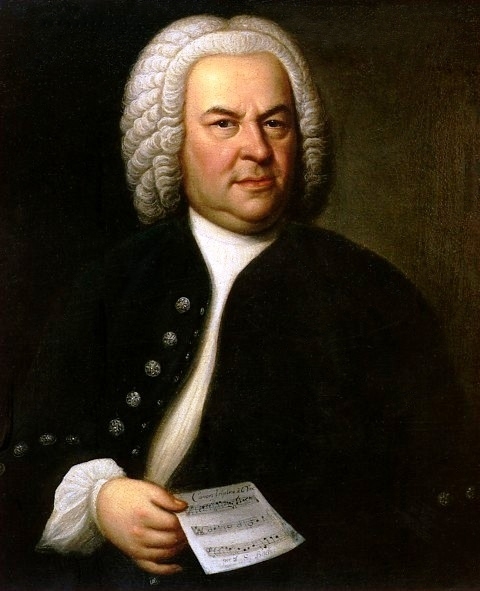 Johann Sebastian Bach left an enormous body of musical work in his wake. His creative production and work ethic, unparalleled. He inspires not only composers, but artists of every stripe, in every discipline. As a child, I was, of course, exposed to “Jesu, Joy of Man’s Desiring.” A child of the ‘60’s and ‘70’s, I heard the synthesized version of this piece, the tenth and final movement of Cantata No. 147, Herz und Mund und Tat und Leben, by Walter (later Wendy—another story entirely) Carlos. In college, I studied French and music, with focus on classical guitar. When one studies an instrument in college for performance, the semester concludes with the instrumentalist performing a set of pieces for a jury, in my case three faculty members from the Oakland University Music Department, all familiar with the Bach string corpus. One of my judges was noted lutenist, Lyle Nordstrom. It was daunting. For one of my pieces, I chose a Bach selection from Unaccompanied Cello Suite No. 6. This two-part Gavotte had been arranged by guitarist Sophocles Papas and put into the key of C. I got through the piece in fairly good shape, although one of the jurists questioned the notation in one of the sections. Pros have great ears. Bach’s creative output was staggering, numbering over 1100 compositions in a life of sixty-five years. Cantatas, oratorios, concerti, works for piano, organ, lute, violin, cello, etc. It is the fruit of the work ethic embodied in the above quote. Work he did. Avail yourself of Bach’s creative and joyous work. 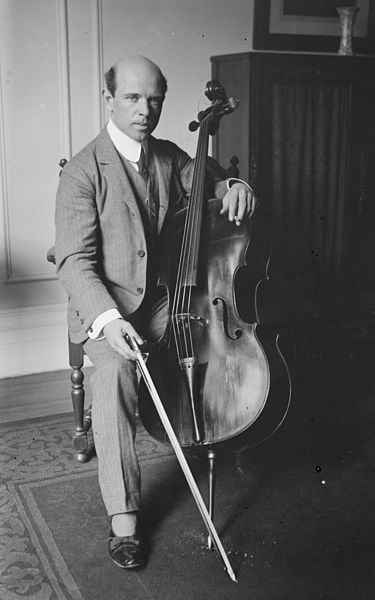 I’m particularly fond of his Sonatas and Partitas for Solo Violin (Jascha Heifetz, my preference), his Unaccompanied Suites for Cello Solo (Yo-Yo Ma and Pablo Casals), the Goldberg Variations (Glenn Gould, 1955 recording) and any of his works rendered from cello, violin, lute and piano for classical guitar (Andrés Segovia, Julian Bream, Christopher Parkening, John Williams, and David Russell, all worthy readings). I started reading a fascinating book nearly three years ago. I’m resuming the reading today. Practicing: A Musician’s Return to Music by Glenn Kurtz, is the story of an aspiring classical guitarist who pursued a career with the instrument and then gave it up, largely through discouragement that he’d not be the next Julian Bream or Andrés Segovia. The book, eloquently written, chronicles his reunion with the guitar. This involved starting almost from scratch, though certain things come back with the same reliability of getting on a bicycle. Some stuff never goes away. I’ve been challenged to make room once again for my own pursuit of classical guitar as well as learning more on piano and taking up the violin once again. In the mid 1980’s, I studied classical guitar privately as well as in college. It gave me technical and theoretical skills that have held me in good stead to this day in other, less challenging forms of music. Learning to play études by Fernando Sor and pieces by Bach and I. Albeniz makes playing “Dust in the Wind” (Kansas) and “Fire and Rain” (James Taylor) easy by comparison. I miss the challenge, to be honest. How about you? Have you set aside a pursuit years ago that has left an ache inside you, something unfulfilled? Perhaps it was a mastering musical instrument or learning another language. Maybe you are in your middle years and want to complete your degree. It’s never too late to keep learning and add variety, skill, and spice to your life. Do it now. You’re up to this and there is no better time. You’ll not regret it. It’s been our tradition for many years to journey from northern New York where we live to southeastern Lower Michigan to spend the Thanksgiving holidays with my family. I was raised in Michigan and it has continued to be home for most of my family. It is always a special time. This year is a bit different. Our children are off in different parts of the globe, learning, traveling and growing. And retail being what it is, we are unable to make the seasonal trek of nearly 500 miles as work requires us to be here in New York for the madness of Black Friday. One prominent feature of these trips to Michigan has been the soundtrack. Or tracks. Our route takes us across Ontario, Canada via the 401, through Toronto and over into Michigan’s thumb. It is dark, sometimes snowy, filled with beautiful lake shore scenery, bright city lights and Tim Horton’s donut shops. When our girls were young, we listened to lots of stories on radio or tape. Cassette tape. We’ve been at this a long time. And there has always been music. Especially Christmas music. Thanksgiving for us is the vestibule of the Christmas holidays. Denuded trees. Snow. Chill. Detroit Lions. Canterbury Village. Tinsel. Winter solstice a month away. 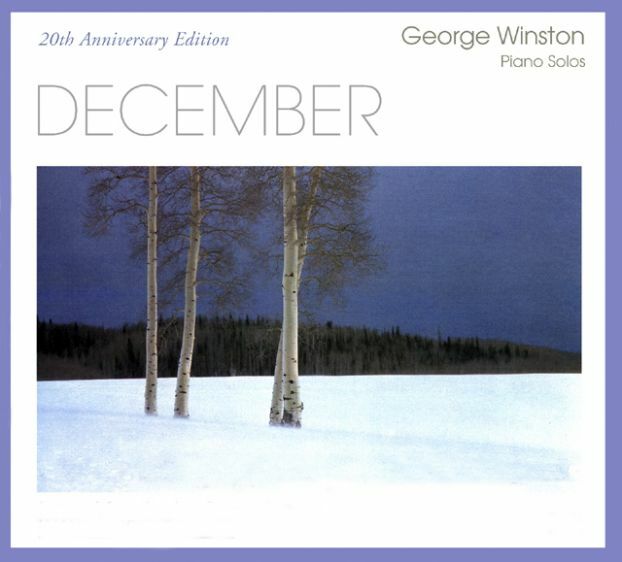 One particular favorite is pianist George Winston’s album December. It creates a warm and winsome ambience, almost mystical. Ideal for the shorter days, longer nights, chilly air and the quiet of the season. The opening piece, “Thanksgiving,” is meditative, with darker hues, in a minor key. This track embodies the sense of twilight, chill and the onset of Winter. The album has other treasures. Winston gives beautiful readings of Johann Pachelbel’s signature “Canon in D” and Bach’s “Jesu, Joy of Man’s Desiring.” As well the hypnotic “Carol of the Bells” and my favorite “Jesus, Jesus, Rest Your Head.” And more. Buy this album. It will embellish your holidays in ways you can’t imagine.